Sanghamitra Debta | I.K International Publishing House Pvt. Ltd.
B.Tech (Mechanical Engineering, ITER SOA University, Bhubaneswar), is pursuing M.E. 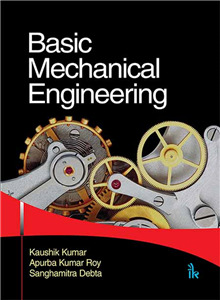 (Design of Mechanical Equipment, BIT Mesra). Her areas of interests are Product and Process Design, Strength of materials, Material Engineering, and Automation.